A few years ago while visiting our friends in France we were served many different wines, such as this Mouton Cadet Bordeaux, at just about every meal, with the exception of breakfast. It was incredible to see the variety of inexpensive wines that were available. American wines are available, but well out of the price range of the ordinary table because of shipping costs and import and export fees. Imagine my surprise when on the table of one of our many lunches was a wine I recognized and had enjoyed a while back. That wine was Mouton Cadet Bordeaux. I thought it would be fun to share a little about where the wine comes from and some of its history. Bordeaux is in southwestern France and is arguably one of the most famous wine regions in the world. It is rivaled only by Burgundy, Champagne, Rioja, Chianti and Napa Valley. This wine region takes its name from the port city of Bordeaux. 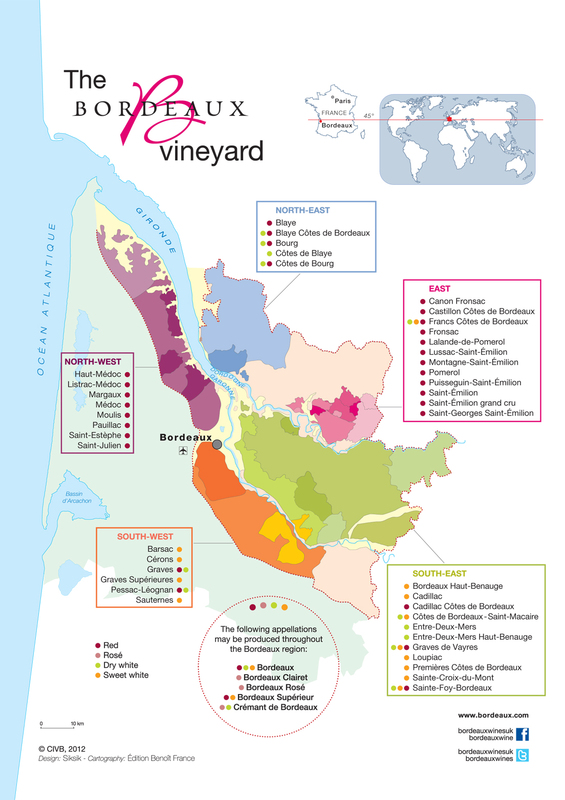 The Bordeaux wine region stretches 80 miles inland from the coast of the Atlantic. It is home to more than 10,000 producers who turn out a vast quantity of wine in every conceivable vintage. These wines range from inexpensive table wines to some of the world’s most expensive and prestigious labels. The majority of the Bordeaux vineyards are planted with red wine grapes, although some white varieties are used to produce dry white and sparkling wines. This area also produces some highly esteemed sweet wines. The success of Bordeaux as a wine growing region is due to its particular climate and geography. Warm summers and relatively mild, wet winters mean this climate is well suited for growing late-ripening grape varieties. Bordeaux also has had a distinct and historically significant classification system, which has remained virtually unchanged since the middle of the 19th century. So where did Mouton Cadet come from? Here is this wine’s story. Baron Philippe de Rothschild, of the prestigious Château Mouton Rothschild Vineyards, created a wine label called Carruades de Mouton following a very poor harvest in 1927. The label was not a success. Following two more bad harvests, de Rothschild felt the grapes were not worthy of the Mouton-Rothschild name. So he created Mouton Cadet, which means “Cadet,” the youngest son of the family. Despite the lack of its traditional prestige, Mouton Cadet was very successful. In order to repeat the success the following year, de Rothschild had to turn to neighboring vineyards for grapes. 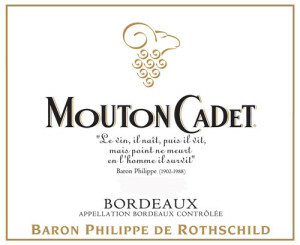 With the increase in demand for Mouton Cadet, it required de Rothschild to buy more grapes from nearby growers. In the years that followed, the wine would include grapes from even further away to accommodate the demand for the product. Then in 1947, the Mouton Cadet label gained a Bordeaux AOC classification. Mouton Cadet steadily increased in popularity due to its reputation for consistent quality. To accommodate the growing demand, the winemakers continued to rely heavily on grapes that would come from many other wine districts. Mouton Cadet was heavily promoted in the 50’s and 60’s, which included placing the brand in the UK and the US. In the 70’s, white wine was added to the label, to expand the brand’s appeal, which resulted in a substantial increase in sales worldwide. When Philippe de Rothschild died in 1988, the business was passed on to his daughter Philippine de Rothschild. The label Réserve Mouton Cadet Médoc was created in 1996, offering a red wine that had greater aging potential, and a product aimed specifically at the restaurant business. In 1999, the Réserve line also included the white Réserve Mouton Cadet Graves. Under the leadership of Philippine de Rothschild, Mouton Cadet made further additions to the line which included a rosé in its generic series. As well as three wines in the Réserve range (Réserve Mouton Cadet Saint-Émilion, Réserve Mouton Cadet Sauternes, and a red Réserve Mouton Cadet Graves). 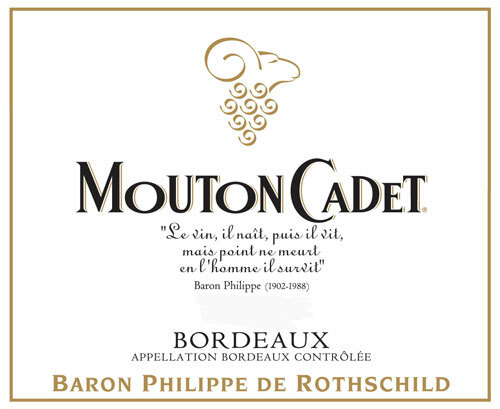 It is important to note that Mouton Cadet is now one of the best-selling wines in the world. All the result of three poor growing seasons and the need to find a way to use the product. The Mouton Cadet Bordeaux pairs well with beef, lamb, many kinds of cheese and nuts. 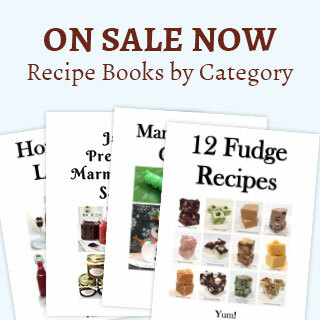 It also works just as well with a lighter fare such as herb-roasted chicken, my personal favorite. We had this with steak and fries. It lived up to its reputation. You can find this best-selling Mouton Cadet Bordeaux 2009 at wine.com, amazon.com, BevMo.com, CostPlus/World market, Trader Joe’s, many grocery stores or any quality wine market. Mouton Cadet Bordeaux is a bottle of wine you must try if for no other reason than its history. I guarantee you’ll enjoy it. The next time you’re in the market for a moderately priced French wine with an interesting history (and a poem on its label), this is the one to buy. What are some of your favorite wines? I would love to hear your thoughts and suggestions. If you enjoyed “Mouton Cadet Bordeaux,” check out my wine page or these “Trip To France” articles: Week 1, Week 2, A French Wedding, Flowers in France, and Pineau des Charentes. These posts are full of pictures of the many places we visited. It will truly give you a feel of France and all that we experienced.